November's release includes tunable SmartTracks, volume alerts and improved anti-spam capabilities. Been given your username and password? Great! Here are the two ways to run EarlyBird. 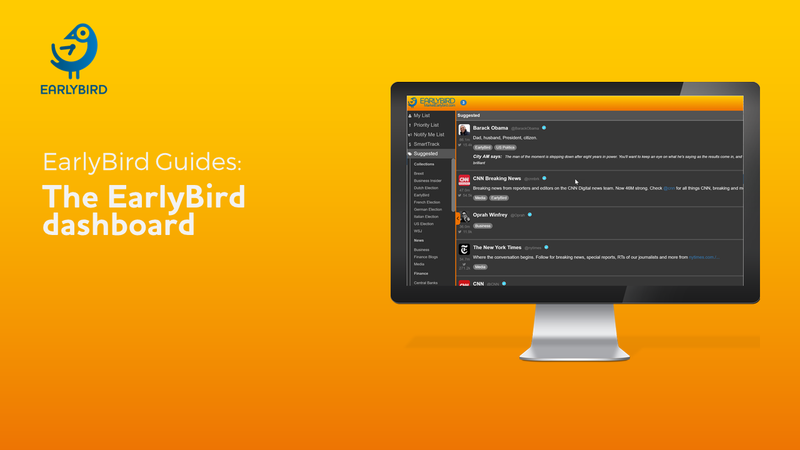 A tour of the EarlyBird dashboard to get you familiar with the main buttons and features. See instantly the Tweets that are going viral from the accounts you're following on Twitter. 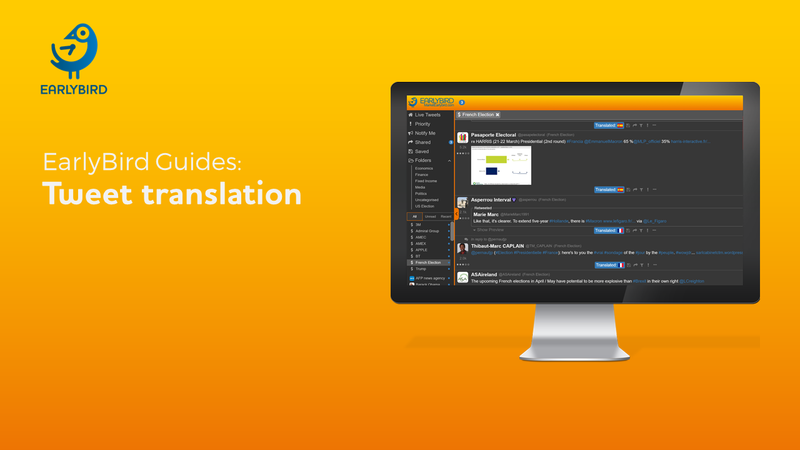 For selected SmartTracks, EarlyBird offers auto-translation so you can react to Tweets from anywhere in the world. Our AI-curated Twitter searches bring you the most important financial news for the equities and topics you’re following on Twitter. We walk you through the Who’s Who library – our new area to manage your Follows and folders in EarlyBird. 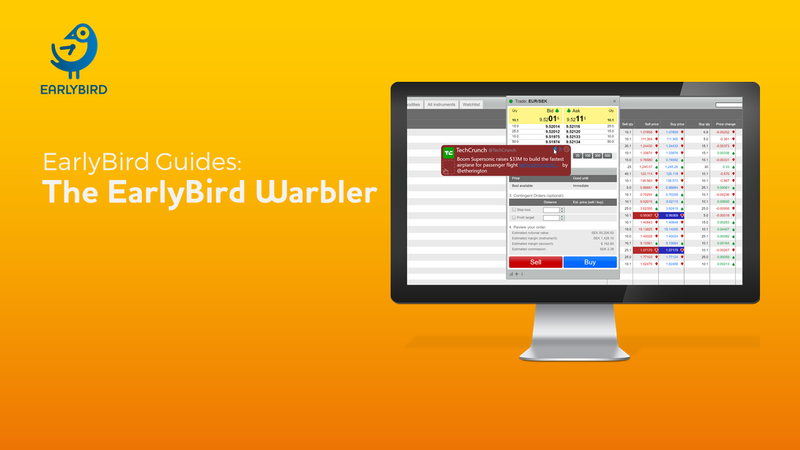 Maximise space on your trading screens with the EarlyBird Warbler - it sends you Tweets via pop-ups even if EarlyBird isn't running. To log into the Warbler you need a PIN code instead of a password. From EarlyBird click "Warbler Inactive", or go to "Settings - Popups". OpenFin provides a secure wrapper around HTML5 applications like EarlyBird, to give the user a desktop-app experience with all the safety of web-delivery. Usually openFin will either already be installed throughout your firm, or it will install and run with one click. 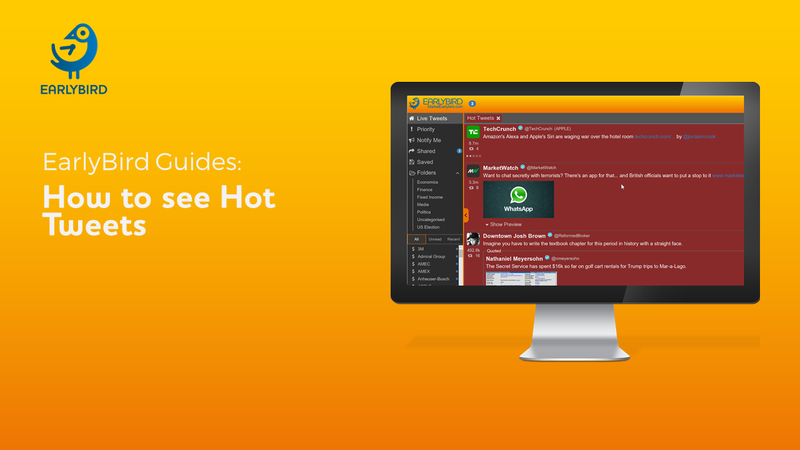 If have a particularly locked-down desktop that is blocking OpenFin we have some tips to help, but you'll need to get an IT Admin to help you.